Here is the radar at 2pm Eastern. 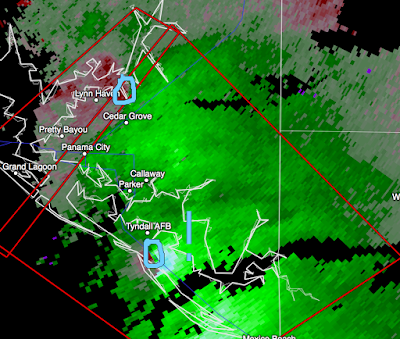 There is likely a tornado on the ground just southeast of Tyndall, AFB. Take cover, NOW! There is a weaker rotation north of Cedar Grove. Both are moving northeast. This represents the round of tornado warnings we were confident would begin this afternoon. More will be issued. Please keep up with me on Twitter @usweatherexpert .